The Catherine McAuley Society is a women’s philanthropic group supporting the fundraising efforts of the Friends of Mercy Foundation. Members continue the incredible legacy of Catherine McAuley, Foundress of Mercy Hospital’s founding congregation — Sisters of Mercy. Her selfless acts of kindness, generosity and commitment to those less fortunate is what makes her legacy so special and what inspires our members to continue to support our fundraising efforts. As a member of the Catherine McAuley Society you will have the opportunity to follow in her footsteps and impact our community in a positive way. 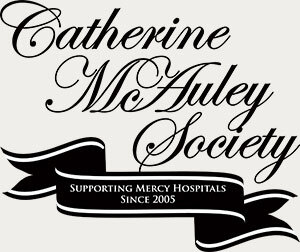 Membership in the Catherine McAuley Society requires a $1,000 gift each year you are a member. Members are invited to three hosted luncheons over a twelve-month period and as a group vote to direct 100% of society funds to the Mercy Hospital project that is most meaningful to them. Would you like to become a member of this women's philanthropic group supporting the fundraising efforts of the Friends of Mercy Foundation? Join now and pay via credit card by clicking the “Donate Now” button. You can also send in your donation of $1,000 to the Friends of Mercy Foundation at PO Box 119, Bakersfield CA 93302 or contact Samantha.Cardenas@dignityhealth.org or (661) 663-6700. Breast Cancer treatment in the form of an Intraoperative Radiation Therapy device, which delivers focused radiation to a patient during the resection surgery. For appropriate breast cancer patients, this 20-30 minute treatment replaces the traditional radiation schedule of 5 days a week for 6 weeks. Additionally, it leaves the skin intact, creating a more normal looking breast post-surgery. We will be the only hospital between San Francisco and LA to have this treatment option. For recent and past luncheon photos, please visit the Friends of Mercy Facebook page.